As you can see, there&apos;s been a pause, a longish one. Most of the 2010 was spent working in the studio on Waternixie, and then - I became a mom, and got totally cocooned in my new world. However, here we are now. Waternixie is finally ready, with extra tracks and the official release date set for February 28th, 2013. Happy New Year, everyone, and happy listening! 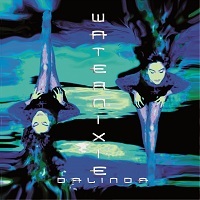 New Album entitled Waternixie coming soon! Gig in Chesterfield, with Mandragora. Gig in Glastonbury, Majma Festival with Mandragora. Brighton. Performing with Mandragora, for "circus2iraq" charity event. Completed work with Phil Thornton on his new album "Chill Le Monde"; featured in "Ederlezi Trance". Festival in Bexhill, UK. Performing with Earthdance.